Today’s a big day for fans of Massive Attack. Not only do tickets go on sale for their March Australian tour, but their brand new album ‘Heligoland’ (pictured) hits retail. To celebrate the album’s release, the glorious team at EMI has given us five copies to give away! To you! What a very generous mob! And entering the competition couldn’t be easier – all you need to do is send us an email containing your name and postal address to auspOp@ymail.com with “Massive Fan” in the subject line! Impossibly easy. You know you want to, so get enterin’! Competition closes at 11:59pm AEDT on Thursday February 11, 2010. One entry per person. Winners’ first names and suburbs will be published on auspOp on Friday February 12. 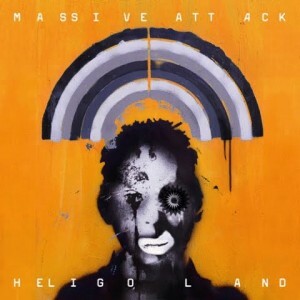 Five lucky buggers will each receive a copy of the new Massive Attack album ‘Heligoland’, with thanks to EMI. And remember, we respect your privacy. We don’t pass any of your details onto anyone, not the family doctor, not Dr.Phil,, nor Doctor House or even Doctor Jones. No-one! Furthermore, they’re not even kept on file (your details, not the doctors)! How lovely.